State of the art high performance dual core ARM9 computers excel as industrial control processors. Demanding applications require large DDR3 memory systems with hardware error correction (ECC), multiple high speed communication network connections, and fault tolerant operation. Delivered in under twelve weeks, Orchid was capable of delivering complex custom computer designs at a rapid pace. Altera Cyclone V SX SoC processors are the foundation for a world class computing design. 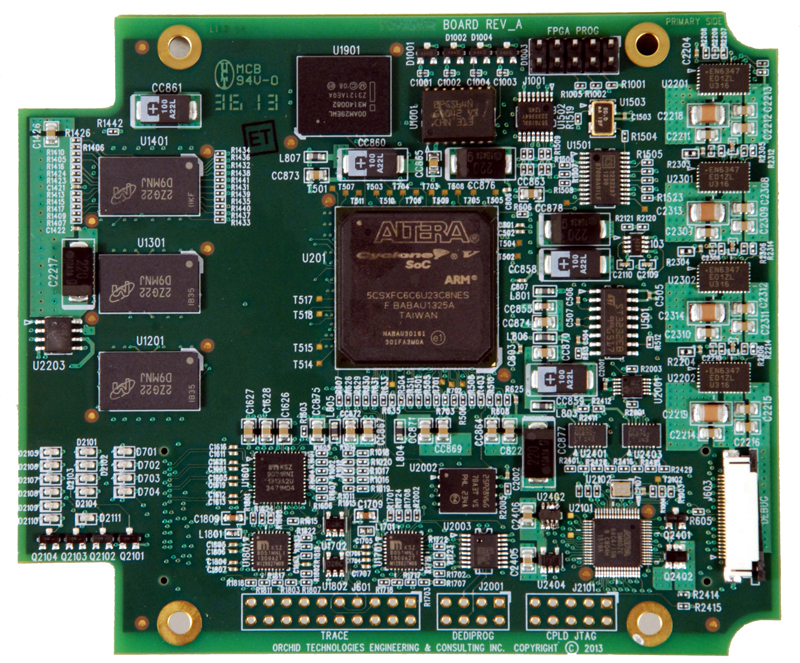 Altera’s dual core ARM9 processor provides a solid platform with which to build applications. Working with Quartus and Qsys, Altera’s FPGA fabric is configurable to support Ethernet ports, PCI Express Ports, external memory ports, various processor peripherals, and special function circuitry. Altera ModelSim ensures high design accuracy through simulation and early design iteration. Low power, high efficiency operation with custom power management circuitry, and power integrity monitoring makes this industrial controller run in the harshest of environments. Altera’s new line of Enpirion point of load power switching components provides compact, high efficiency power right where it’s needed. Quartus II development tools with QSYS system integration make the custom design of high performance ARM9 computing platforms readily achievable. Custom hardware functionality can be implemented in the large FPGA fabric for a truly unique, flexible, performance-driven end product. The development of custom electronic products for our OEM clients is Orchid’s entire business. The design of custom FPGA-based systems with rapid design cycles, demanding technical requirements, and unforgiving schedules sets us apart. 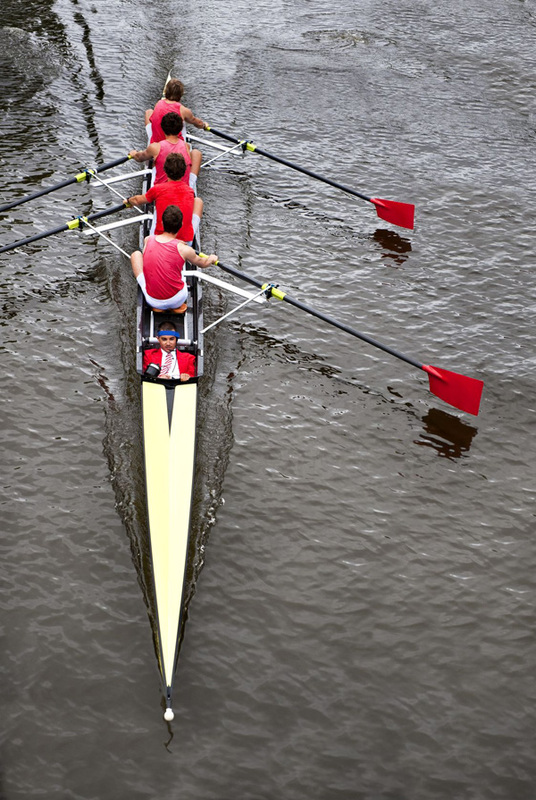 Stay on course to win with Altera high density FPGA development from Orchid Technologies. "Our Cyclone-based computer board was immediately functional. Orchid’s design accuracy has allowed us to shave many months off our original schedule."